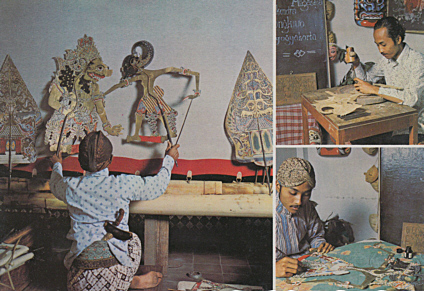 Stages for Wayang, the traditional shadow theatre of Java. Reverse Text: "Wajang Kulit di Djawa Tengah. Wajang Kulit (used for shadow plays) in Central Java." 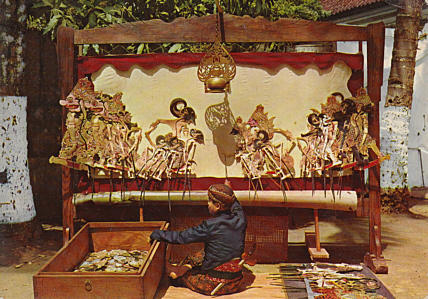 Reverse Text: "Kesenian Wayang Kulit (Jawa Tengah). Leather Puppet (Central Java)"